What is your babymoon bliss? A babymoon is a vacation you take with your partner before your bundle of joy arrives. After all, it’ll only be the two of you for a few more moments, and you’ll want the chance to reconnect and make some precious memories before baby swoops in and steals away the romance… at least for a little while. This is your time to relax, be pampered, and have a good time! 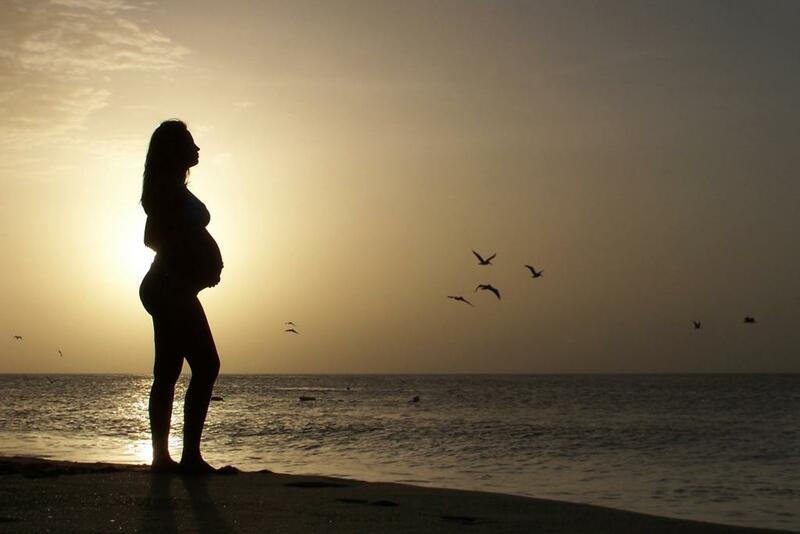 Although every pregnancy is different, the second trimester is usually ideal for a babymoon. The nausea of the first trimester is (hopefully) a distant memory and you aren't quite as uncomfortable as you will be in a few weeks. You’ll also have a bit more energy, and your cute little bump is out and proud! The Countdown to Baby Package at the Cape Codder Resort & Spa is designed to be the ultimate relaxing and romantic respite for the mama-to-be and her partner. The babymooners will relax for 1 or 2 nights in luxurious accommodations at our peaceful resort on Cape Cod. A bottle of non-alcoholic sparkling wine and sweet chocolates await in a beautifully appointed guest room. Mama-to-be will receive a Cranberry Spa Pedicure as well as a soothing, 50-minute prenatal massage and a rejuvenating Beach Bliss Customized Facial. Her partner will receive a 50-minute Wellness Massage as well as the facial. Along with the massage and spa treatments included in the Countdown to Baby Package, the full-service onsite Beach Plum Spa offers a variety of signature services and spa treatments, while the year-round outdoor pool offers a quiet, relaxing oasis. Feeling like splashing around? The Cape Codder Water Park is the only one of its kind on Cape Cod. Our 30,000 square foot indoor/outdoor Water Park features a retractable roof, a wave pool, and lots of water slides. While mom might skip out on the wave pool and the water slides, she’ll enjoy floating along the lazy river. At some point, be sure to venture out to go whale watching, admire Cape Cod’s amazing views of the Atlantic Ocean (and snap some photos with your bump!) and check out the amazing food scene. But the good times don’t end there! Back at the Cape Codder Resort, the babymooners can take a relaxing stroll through our lush 12-acre courtyard, indulge in round-the-clock room service, then grab mocktails and dinner at the Grand Cru Wine Bar & Grill, or our award-winning Hearth ‘n Kettle restaurant. Don't feel guilty about spending extra time at the resort, downtime is key when you’re traveling for two! Keep your OB in the loop. Traveling presents a new set of hurdles when you’re expecting. The most important thing is safety, so make sure you speak with your doctor before booking your trip! If you’re traveling far from home, it’s also a good idea to obtain the name and number of a local OB/GYN. You'll have peace of mind just knowing you can call someone if you have a concern. While cute vacation clothes are a must, skip the high heels this trip and instead opt for comfortable flats, sandals, or sneakers. Don’t forget to pack your belly band for extra support! Be sure to indulge and treat yourself. The Beach Plum Spa at the Cape Codder Resort also offers a hair salon and makeup services, perfect before a baby bump photo session or date night! Document your getaway with your partner and your adorable bump. Make a photo album as a keepsake and to show your baby when she's older. Take it slow. Don't forget to enjoy this last getaway before your baby arrives. A babymoon strengthens your bond as a couple and will help prepare you for the adventures of parenthood.